Froyo is coming - what should it do to improve Android? Android 2.2: what do you wan to see in it? Android's greatest strength is also its biggest problem. The constant, lightning-fast pace of development has left many users out in the cold when it comes to getting the latest OS updates - just ask anyone who owns an HTC Hero how they feel about being stuck with Android 1.5 in this day and age. But the mobile OS marches on regardless, with the latest update, Android 2.2 - known as Frozen Yogurt or "Froyo" for short - rumoured to be due any day. So what should Android 2.2 do? How can it improve on an OS that's already stormed the world during 2010? These are our suggestions, should anyone from Google be reading and have a bit of spare time this afternoon. Yes, we understand Google needs to cover its arse in getting us all to click 'OK' on the privacy options when installing an app the first time, but must we go through this rigmarole again when installing simple version updates of our apps? When you've got 30 apps on your phone and eight of them all coincidentally want updating at once one morning, the update process becomes a bit of a chore. Just let everything auto-update. We won't complain about privacy violations, promise. Isn't it just a bit bizarre that Google, King of the Internet, offers no way of letting users browse the Android Market from a PC? Is that done on purpose, as a way to illustrate a future in which we're free from desktop computers? Or is it simply too big a job? Either way we don't care - we want it and Google has enough people and computers to make it happen. Also, can the Android Market be a bit more user friendly while you're at it? Finding what you're looking for is tough, especially if you're looking for something generic-sounding, like a Twitter app. The ability to sort apps by user ranking would be a good start. The big speculation about Froyo is that it'll somehow magically end fragmentation of the Android OS. 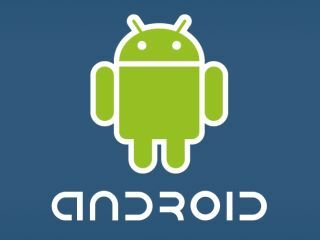 Would it be technically possible for Google to push out firmware updates via the Android Market in future? Probably not for older handsets - they're doomed! - but if every phone that launches from the Froyo era onwards could have its OS updated free from network delays and interference it'd be a great move. Imagine a future in which everyone can install Android updates from the Market, or a Google web site, free from the chains of their local network operator, the day they come out. That's a future we would embrace. Battery life is terrible on all Android phones. Big screens, multitasking and data-syncing all eat lithium-ion constantly, so wouldn't it be great if Froyo let us select ultra-low-power modes for when we're not Tweeting or downloading? It'd also be a cool eco-friendly bullet-point on the Android 2.2 feature list. We're sure Android is already as power efficient as possible, but we'd like to try getting our battery life up from six hours to maybe six and a half. Also, can the alarm clock work when the phone's turned off, please? It's crazy that decade-old Nokias can wake you up when they're switched off, yet Android phones can't. Put that in the hardware spec from now on, please. It's odd that Android isn't particularly well integrated with the networks. Buying apps requires use of a credit card - why can't we have purchases added direct to our network bill? Sure, it'd be a logistical nightmare, but Google has made a living out of sorting out logistical nightmares for the betterment of mankind, so we expect more. Some apps are starting to support PayPal outside of the Market loop, but there's a long way to go before Android offers a simple, seamless payment system.